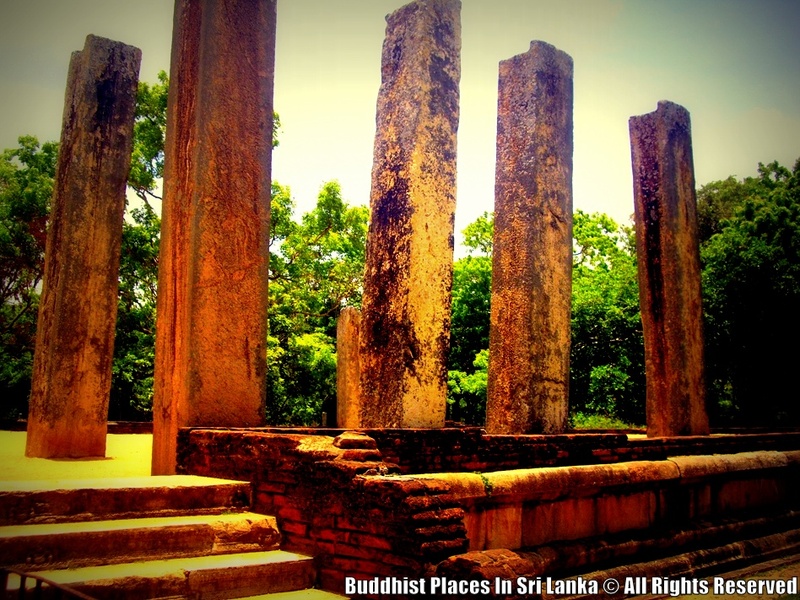 This is the Uposatha house of the Abhayagiri Vihara Complex built by King Kanitta Tissa (192-194 AD). 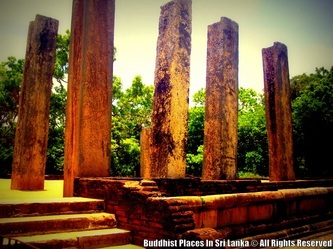 What Lova Maha Prasada was to Maha Vihara complex, Rathna Prasada is to Abhayagiri. 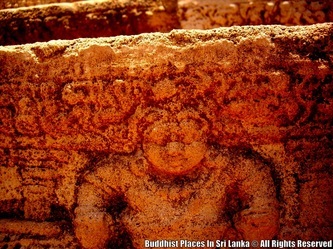 The competition of these two sects of monks can be seen from the size and name of the buildings. Even the names seem to be competing with each other. 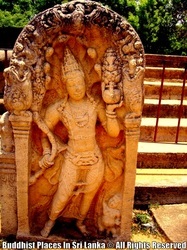 When Maha viharians called their building the The Copper Palace, The Abhayagians called theirs the Jewel palace. 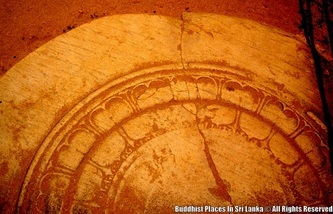 The size too seems to be no second to the Loha Maha Paya. The size of this building can be guessed even today by the gigantic stone pillars that stand today. 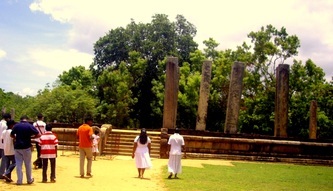 Until recently this site was called the elephant stable due to the monolithic pillars on the site. 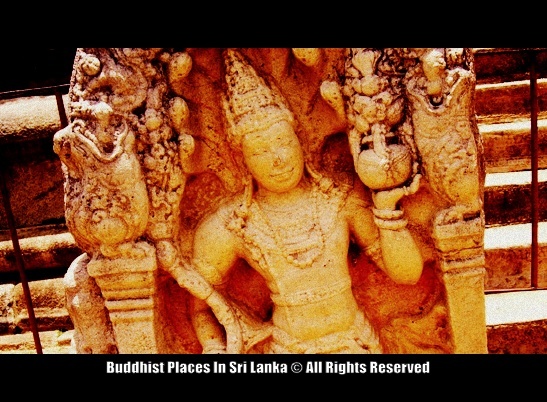 In the 8 th century king Mahinda II rebuilt this on splendor scale with many storied and installed Buddha statue made out of gold. 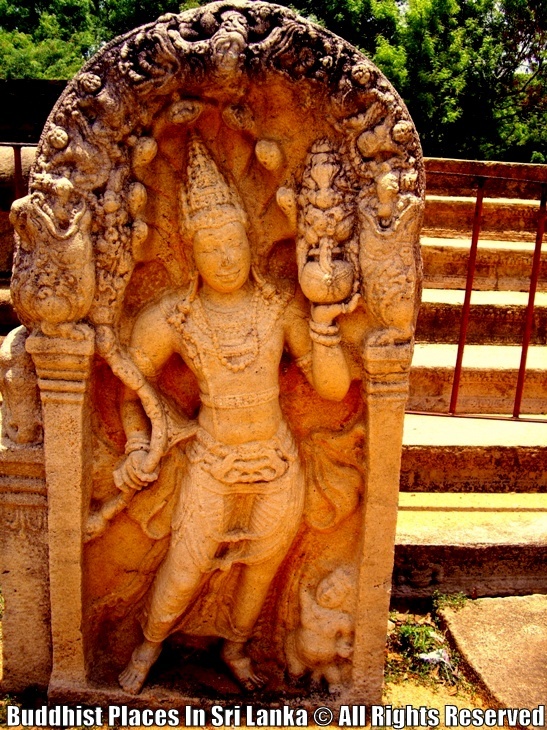 But all these treasures was plundered by south Indian Pandayans in the time of king Sena I (833-853 AD) but was again recovered by king Sena II (853-887 AD). 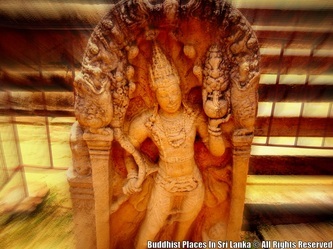 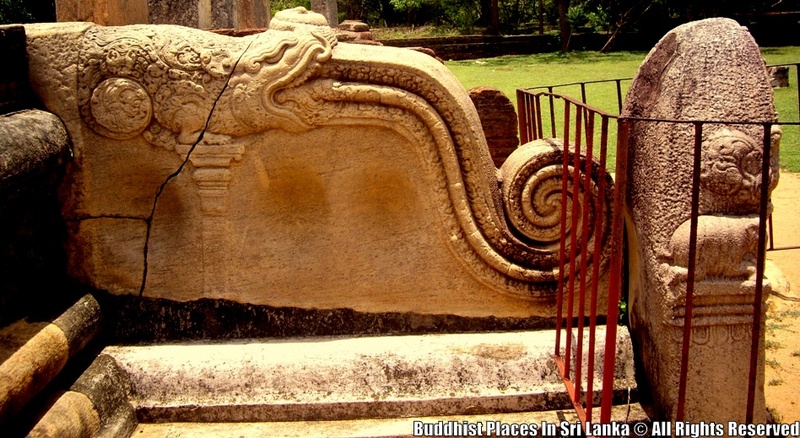 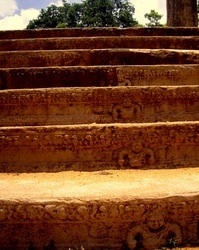 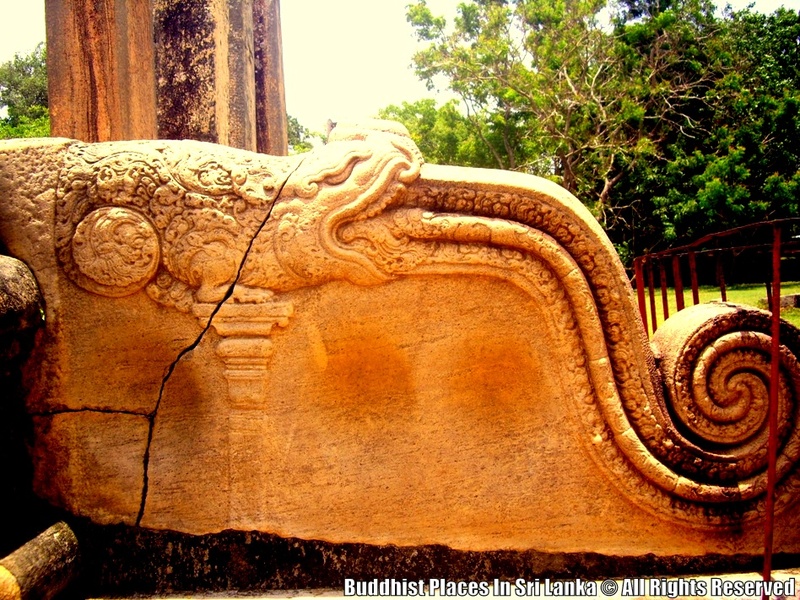 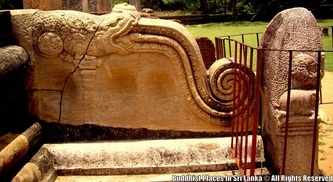 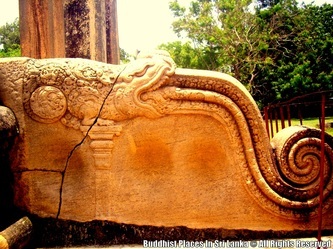 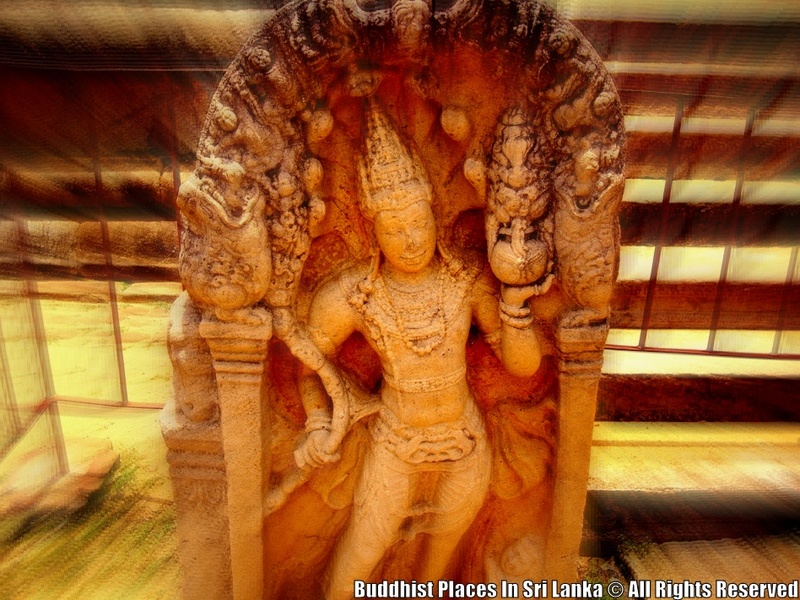 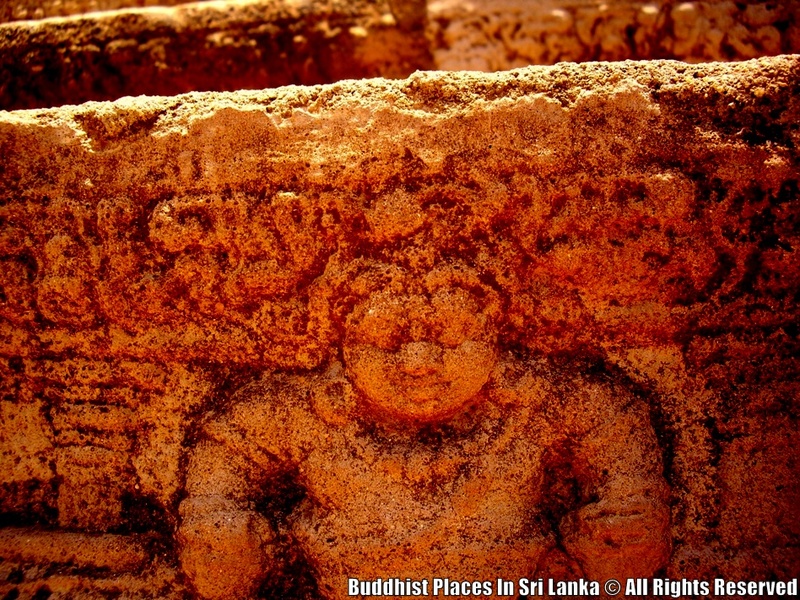 The guardstone at the inner entrance to the building is one of the best examples of such carvings in the Anuradhapura Era.